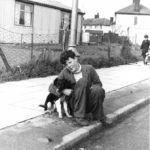 Posted 8 March 2017 & filed under 1950s, Life and leisure, People, Places and spaces, Streets, Timeline. 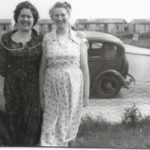 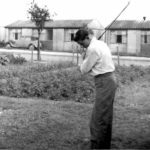 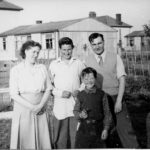 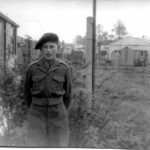 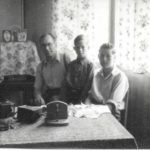 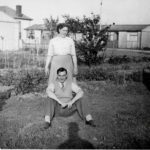 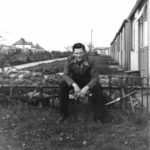 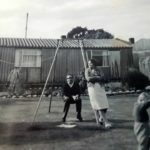 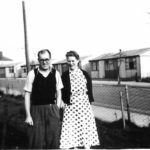 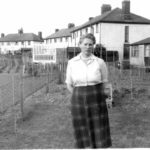 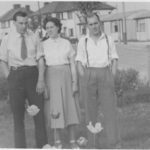 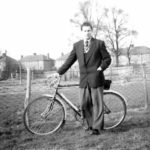 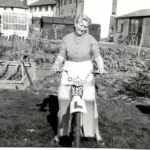 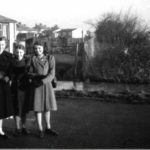 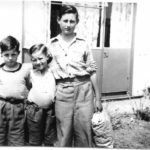 When Michelle Mackenzie’s Uncle Bill passed away in 2017, she discovered several photos of her uncle and his family: the Becketts, who lived in a prefab in Tavistock Avenue in the 1950s. 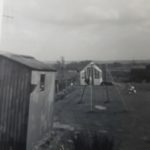 Their prefab, number 106, must have been where Grace Muriel Abbeyfield House is now and there are views of the back garden, the front garden, the side and inside. 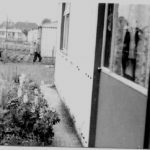 The prefabs on the other side of the road where Tavistock Close is now can be seen clearly as well as the maisonettes in Tavistock Avenue. 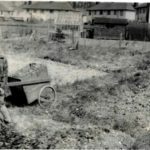 Note that there are a lot of vegetables being grown. 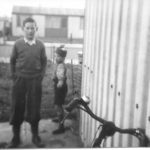 Ian Brazier lived in 127 Tavistock Avenue, another prefab, with his parents and kindly shared some of his photographs as well.